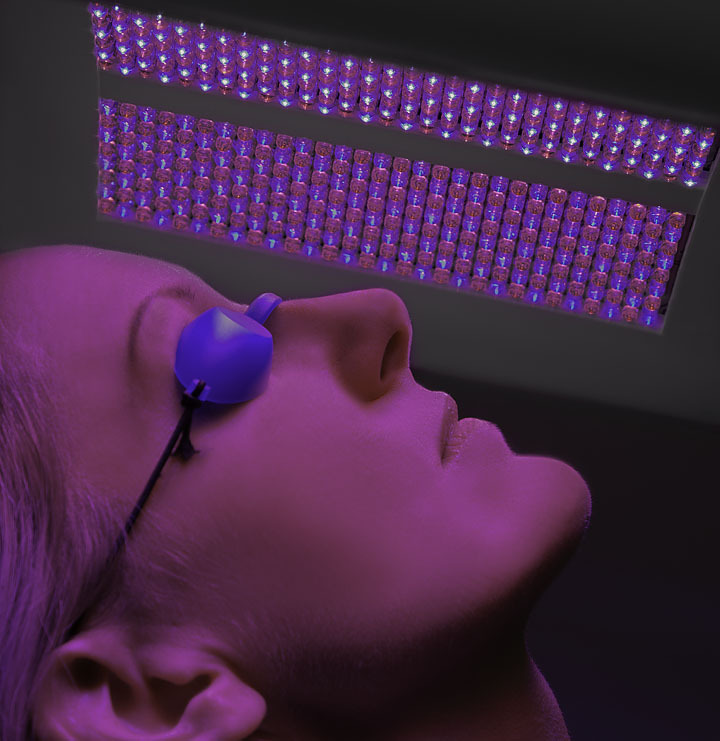 Phototherapy occurs naturally all around us and is based on the principle that our cells absorb light and use it to fuel natural rejuvenation and repair processes. Different wavelengths stimulate different effects on the skin. We know that on-going exposure to UV light is very damaging but controlled levels of Red, Blue and Near Infrared light are clinically proven to be beneficial. Dermalux® delivers skin specific treatments using combinations of clinically proven Blue, Red and Near Infrared wavelengths to boost collagen and elastin production, improve circulation, reduce redness and irritation and blitz blemish-causing bacteria. The Dermalux® treatment is a relaxing, pain-free experience with proven mood enhancing effects. Enjoy some luxury me-time as your skin absorbs the energizing light to kick-start cell regeneration and restore radiance.